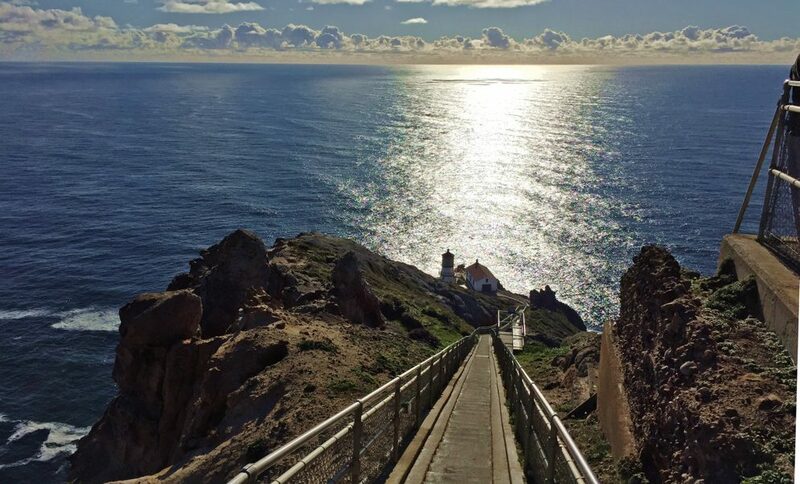 The observation perch at the Point Reyes National Seashore Lighthouse can be the perfect spot to view the storied Farallon Islands, some 25 miles to the west. Oftentimes obscured by fog or a dense marine layer, these mysterious looking marine sentinels do not always reveal themselves. When I see them, I feel lucky. 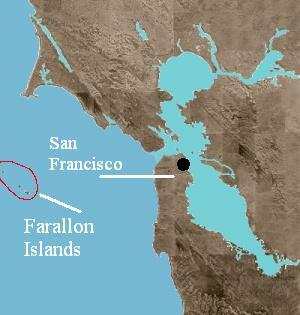 Known in the conservation community as the “Galapagos Islands of the California Coast”, the Farallones (Spanish for a rocky promontory rising from the ocean) are an important breeding and feeding zone for an astounding diversity and density of marine wildlife — and they sit in the middle of the migration path for gray, blue, fin and humpback whales. On South Farallon Island, my colleagues at Point Blue Conservation Science (formerly Point Reyes Bird Observatory) run a globally-renowned field station in partnership with the U.S. Fish and Wildlife Service. The year 2018 marks the 50th anniversary of the program where Point Blue scientists have studied and protected seabirds, marine mammals and the ocean 365 days each year in the Farallon Island National Wildlife Refuge. Over the past fifty years, Point Blue scientists and interns have kept a pulse on the lives of the refuge’s seabirds, sea lions, whales and sharks. National Geographic recently published a story in its July 2018 issue on the plight of seabirds and how research and data gathered at places like the Farallon Islands is key to their recovery when populations plummet. Point Blue’s research has also led to numerous other conservation successes, from the 1993 ban on white shark hunting in California to the 2010 establishment of Marine Protected Area regulations around the Farallon Islands. Congratulations to Point Blue and to the multiple generations of scientists and interns, who have battled epic waves, rain, wind and fog for the past 50 years to protect our oceans and marine wildlife. To learn more visit Point Blue’s brand new website or their entertaining Los Farallones blog.